The title of the post was just ridiculous enough to get you to come over here. Wasn't it? Sorry about that. The truth is that a happy marriage is not a worthy goal. To search for--to chase after--a happy marriage is to guarantee that you will never find it. A happy marriage is not the goal. 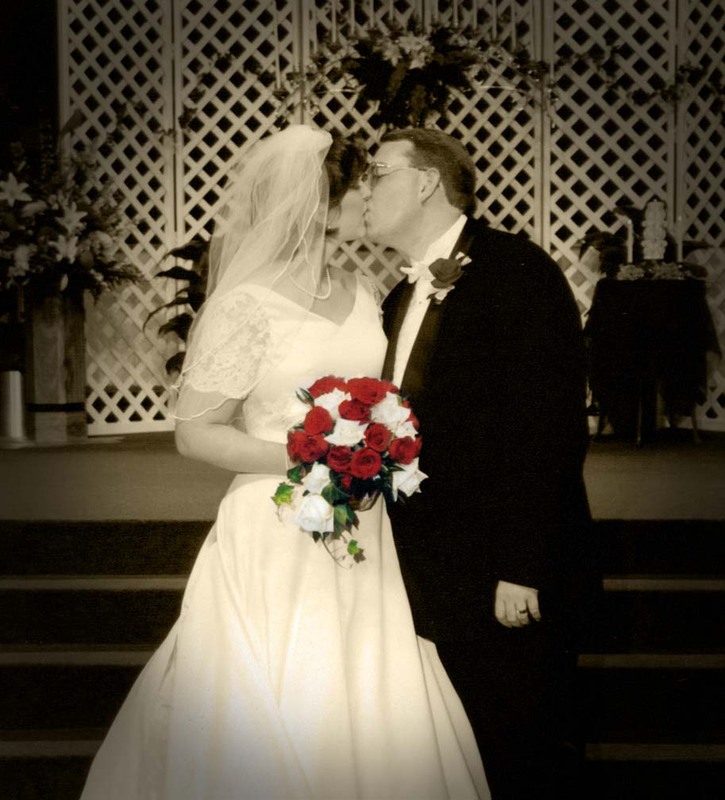 My wife, Melissa, and I just celebrated 13 years of marriage on the 6th of this month (June 2011, if you're reading this from the future). I always like to say that it's been the eight happiest years of my life. 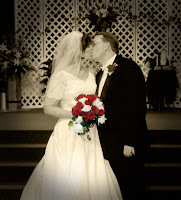 The first 5 years of our marriage, I couldn't say that we were happy. The reason for this is that we (OK, maybe just I) had an unreasonable expectation of what my wife could do for me. I thought that she could make me happy. Boy, was I wrong! Make no mistake about it. Melissa is a wonderful woman--a great wife and mother--but, even with all of her excellent qualities, she did not and does not possess the power to make me happy. When I mistakenly believed that my happiness was in my wife's hands, I saw her as either the catalyst or the obstacle to my happiness. That is an unfair expectation to place on anyone. I placed a responsibility on her shoulders that God alone can bear. Friends it isn't until we find our ultimate satisfaction in God, through faith in Jesus Christ, that we can cease trying to find satisfaction in our earthly relationships and enjoy them without the unfair and inflated expectations that we have placed on them. Psalm 37:4 says, "Take delight in the LORD, and he will give you the desires of your heart." Seek happiness and you will surely miss it. Seek the LORD, and you'll find both. Tomorrow, I will lay out my "three easy steps" in a wedding homily that I preach to myself every day. Your turn. Have you placed unfair and inflated expectations on the relations in your life? Are you placing expectations on others that only God can fulfill? If you enjoyed this post, please consider sharing it by clicking on one of the share buttons below.